Before the Internet became ubiquitous, incident and accident reporting at airlines and airports was done either by word of mouth or by paper forms submitted in an inbox. Many times it was easier to simply ignore the incident whenever possible if witnesses believed that filling out a paper report was meaningless or too much work. These types of organizations had poor reporting cultures and it is amazing how this mindset carries over today in modern aviation operations. Many upper level managers at airlines and airports have been working in the "industry" before the last rush of technological advancements. Their minds still don't grasp the power of having data available to analyze with a few clicks of the mouse. Furthermore, they still believe that reported aviation incidents and accidents equates to mountains of paperwork and hours of drudgery. This is no longer true, as there are powerful, Web based aviation safety tools that make these tasks almost effortless to manage. There are still many airports and airlines who don't have electronic accident and incident reporting systems. And the ones that do have electronic hazard reporting systems most have not been upgraded within the past ten years, so they lack basic email notifications as routine hazard data management activities. There are a few sophisticated safety software systems that have very rich reporting interfaces. For example, there was a recent blog post by SMS Pro about eleven ways users could report incidents and accidents into their Web based aviation safety software. The easiest way to report aviation incidents and accidents is by email. Most people in the aviation industry culture have email. Being able to open up your IPhone or Blackberry and report an aircraft accident or incident seems almost as easy as it can get. Furthermore, knowing that you can follow up on the reported accident and see who is responsible is a big bonus. 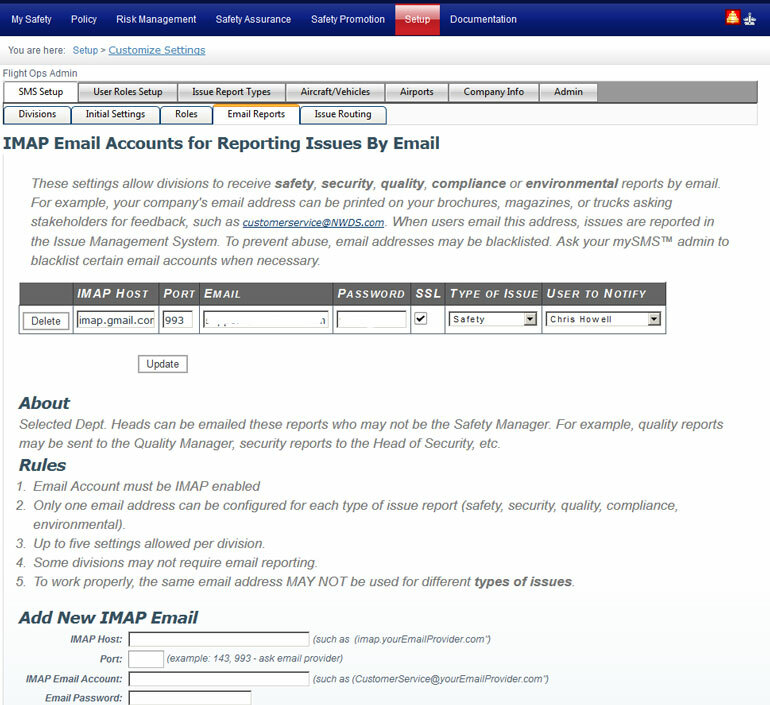 Reporting airline accidents and incidents by email should become a standard in aviation safety management systems today. In conclusion, having eleven ways to get data into an aviation safety system seems incredible! Every system should have at least 3 (paper, electronic reporting forms, and email).